Hello there and happy Tuesday to ya! 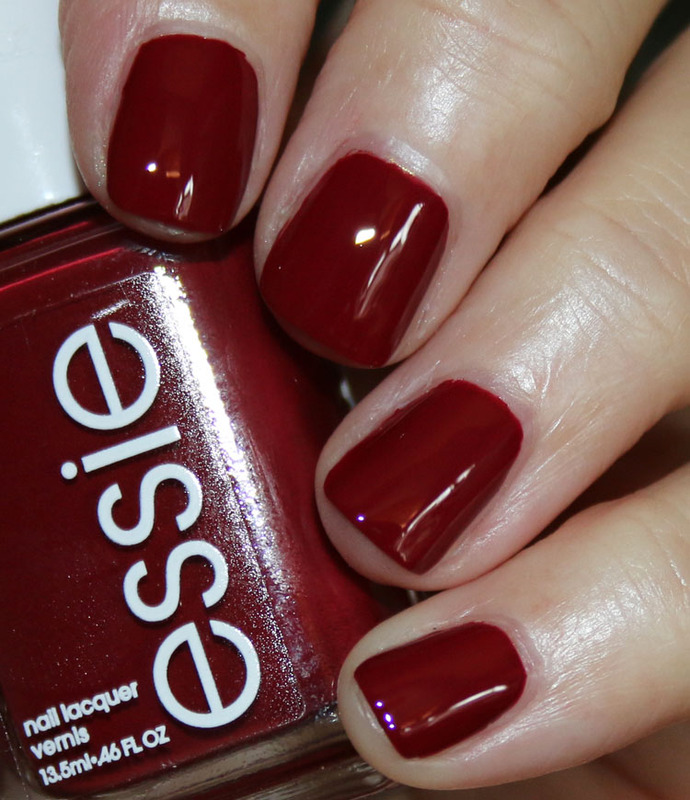 Today I’ve got the essie winter 2018 collection. 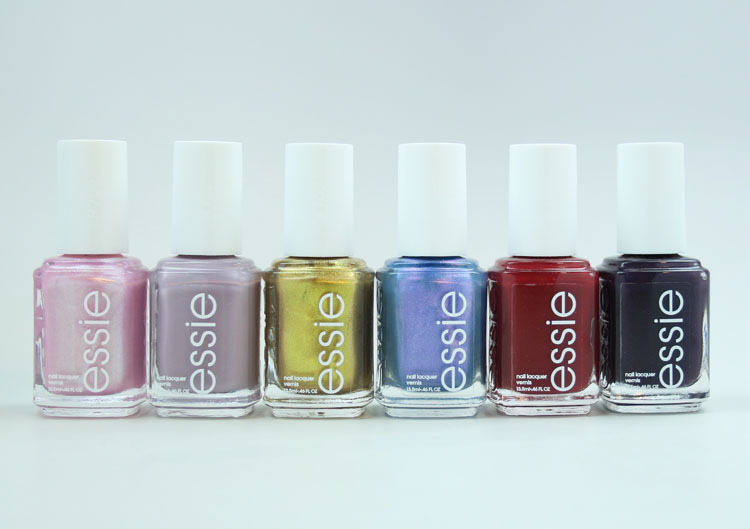 The essie winter 2018 collection is limited edition and features six new shades. 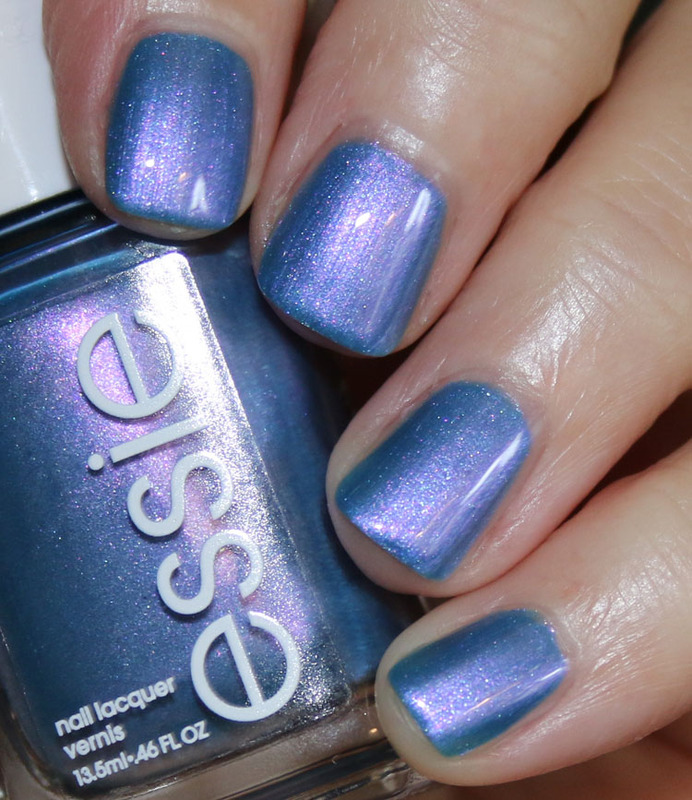 This collection was inspired by the winter Northern Lights in the arctic. There are a few different finishes in the collection, which makes it more interesting. The formula was really good with these and I had no problems to speak of, really. The one frost and one metallic can be brush-stroke-y if you don’t use thin, even coats. These ranged from two to three coats. 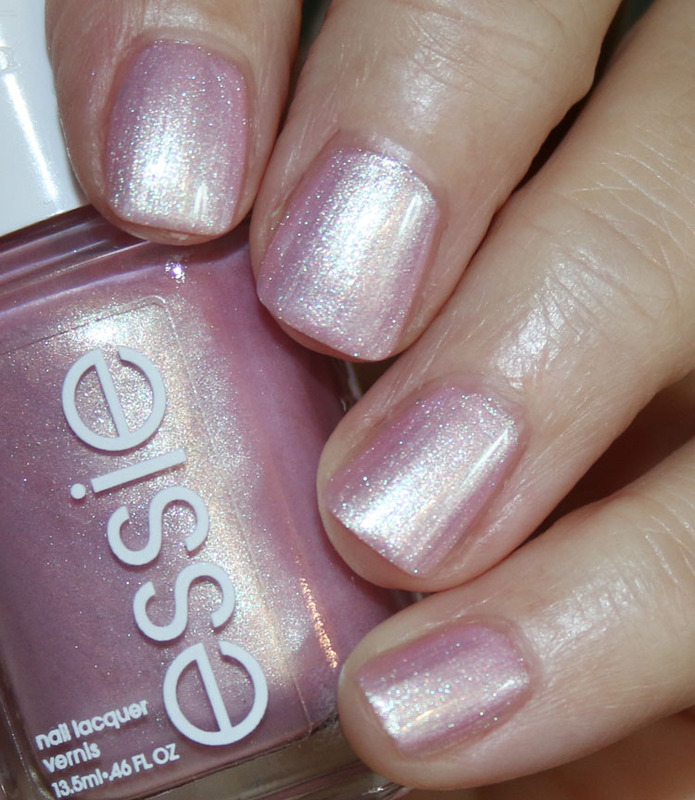 polar-izing is a light pink shimmery/frost. This is three coats. 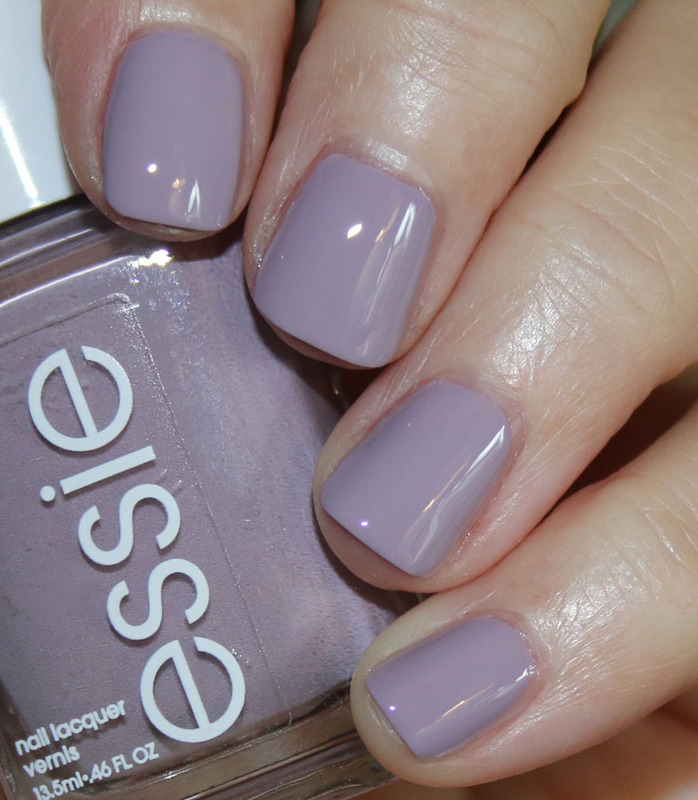 just the way you arctic is a muted lilac/grey creme. This is two coats. million mile hues is an intense bullion gold metallic. This is two coats. glow with the flow is a blue/purple with lots of pink shimmer. This is three coats. hear me aurora is a deep rosewood red creme. This is two coats. sights on nightlights is a dark smoky plum creme. This is two coats. Such a great collection! Not every shade here are colors I would personally wear, but I like that they don’t seem like the usual winter colors. polar-izing is pretty, but looks very 1980’s to me with that slightly frosty finish. I absolutely love just the way you arctic, glow with the flow and slights on nightlights. Also, I must mention how intense and amazing million mile hues is. It’s CRAZY pretty, but looks terrible on my skin tone, wah! 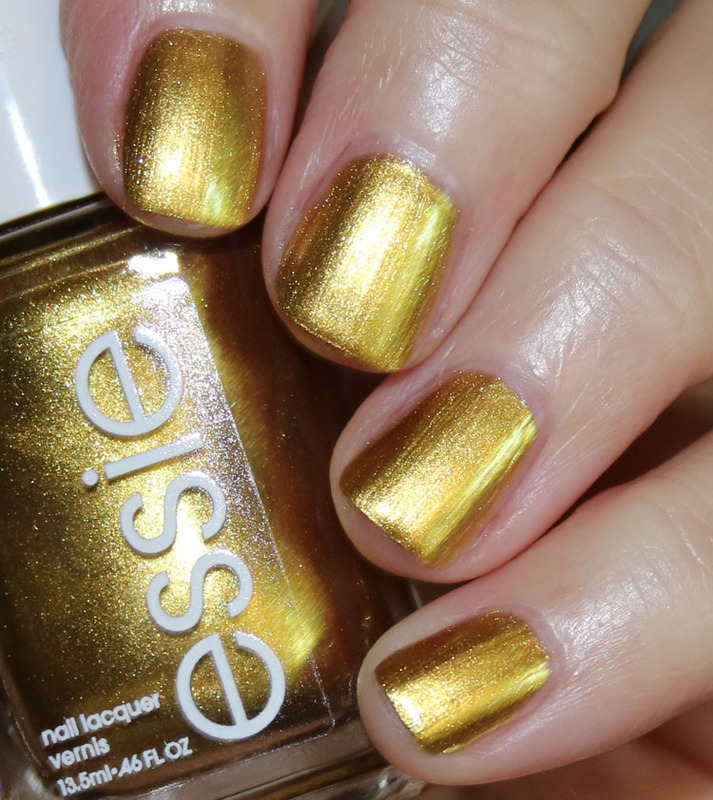 It’s that precise shade of gold I just cannot pull off, but I love it still. 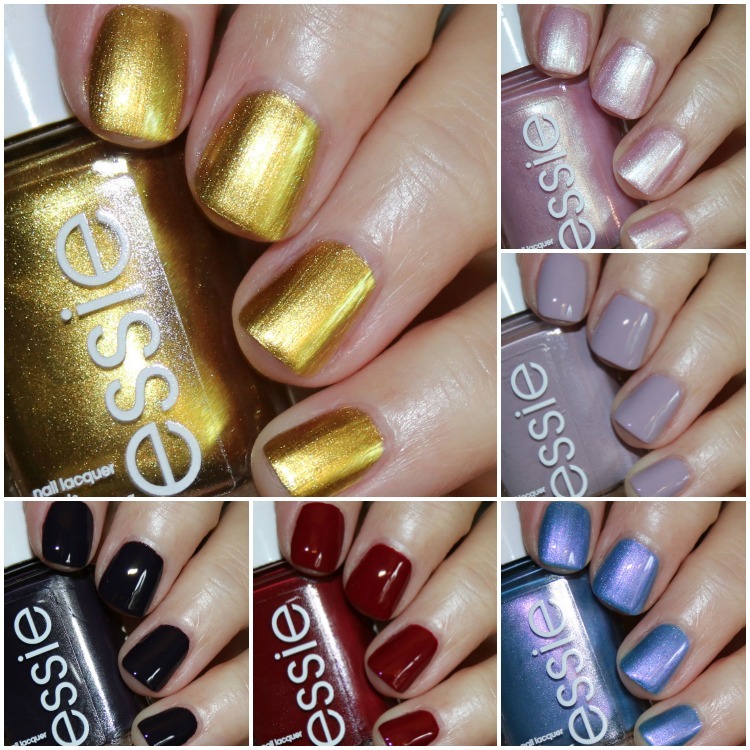 You can find the essie winter 2018 collection on their site and in stores now for a limited time and they are $9.00 each. Glow with the flow is just perfect for winter! it reminds me of snow.. sooo pretty!! These are so cute! When they eventually come to Australia, I’ll definitely pick up a couple. That gold is gorgeous. if i wore red, i’d wear aurora! Bought and love sights on nightlights! Formula and brush are insane. 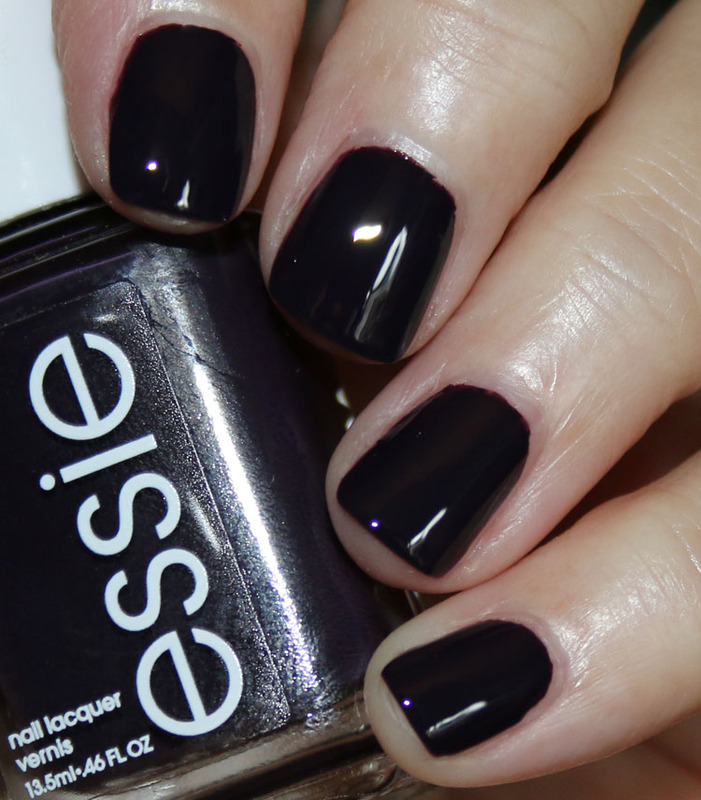 Looks black in some lights but ultra rich dark purple in others. Applies like a dream! Thanks for the reviews! The pink looks so lovely! I need that one.